As if suspended in mid air, the Montblanc Diamond, in its entire splendor, is prominently featured in the dome of the writing instrument. Hand-crafted in the best European tradition, the black precious resin writing instrument is adorned with platinum plated fittings and a handcrafted14K gold nib with a rhodium-plated inlay. The idea behind the new writing instrument was to not alter the shape of the Meisterstück, but to actually enhance the object with the addition of a precious stone, the iconic Montblanc Diamond as well as the style element on the clip ring to enrich the overall design of the instrument. The distinctive traditional white resin Montblanc star as the Montblanc emblem on the top of the writing instrument now shines as a beautiful diamond. 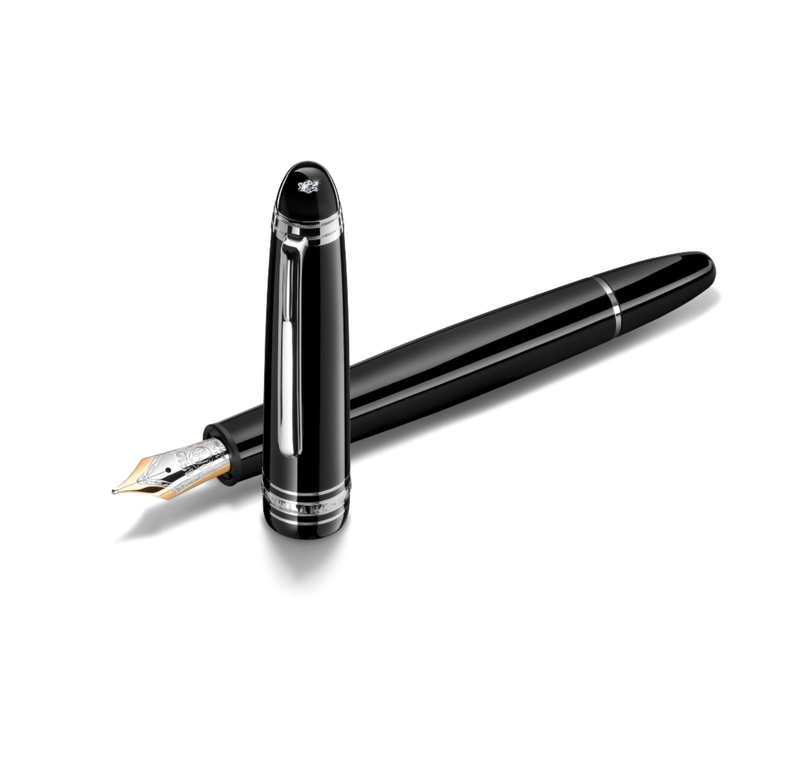 The Montblanc Diamond which adorns the summit of the Meisterstück Montblanc Diamond Writing Instrument, was first launched in 2006 after eight years of development. Internationally acclaimed for its unique craftsmanship and incredible sparkle, the patented 43 facet stone is masterfully carved into the shape of the Montblanc Star, the brand’s symbol representing the snowy peak of Europe’s highest mountain, the Mont Blanc. Over recent years, the Montblanc Diamond has become a favorite on the red carpet at award ceremonies, premieres and festivals all over the world.